mani-pedi curious adj. Curious about or open to exploring the spa treatment that consists of both a manicure and a pedicure. 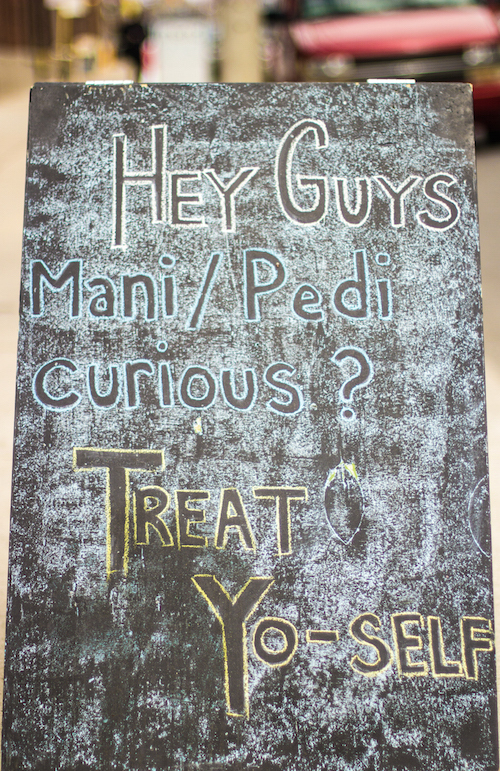 (Also: mani/pedi curious; cf. bi-curious) [Shop sandwich board (below)] In case you’re wondering, the compound mani-pedi dates to 1972. Mani-pedi curious. Photo by Paul McFedries. onomatapology n. An apology that sounds sincere but falls short of being an actual apology (onomatopoeia + apology). Jeremy Renner gave the truest version of what I have sometimes called the “onomatopology.” It’s not an apology, but it makes apology noises. What unusual phrases does YOUR region use? Interactive grammar map reveals bizarre language differences across the U.S.
Never forget, though, that language is the people’s. Your witless superstition will, by-and-large, be ignored by the speakers of the language, and the alleged impropriety will almost certainly win out in the end. Don’t mistake yourself for a brave defender of our language against the barbarians at the gates when, in truth, you’re nothing but a millennialist shouting about the end-times of the English language. Meanwhile, the world spins on, and the language flourishes, hale and hearty. Posted by Word Spy on April 29, 2015 .